Direct Relief International has dispatched 66 tons of medical supplies to Yemen over the past three years, now in the throes of a protracted humanitarian crisis spawned by an equally protracted civil war. The last shipment was sent in November and the next is set for the coming weeks. Complicating deliveries is the lack of an international airport in Yemen capable of accepting such shipments and the collapse of a viable medical infrastructure by which such supplies could be meaningfully distributed. “In the last four years, about half of Yemen’s health facilities have disappeared,” said Dan Hovey, a logistics and delivery specialist for Direct Relief. Compounding matters further is the utter lack of predictability or reliability where Yemen’s key port cities are concerned. “One month, they’re open and we can make deliveries, the next month, they’re closed and we can’t,” said Hovey. For the past four years, Yemen has been torn by civil war with Houthi Shia rebels controlling the north and remnants of the previous regime controlling the south buttressed by a coalition of forces spearheaded by Saudi Arabia. Any deliveries Direct Relief makes to the southern port of Aden must pass muster with both factions of the conflict to get the supplies to the rebel regions in the north where the needs are most acute. “It’s a logistical nightmare, is what it is,” said Hovey. 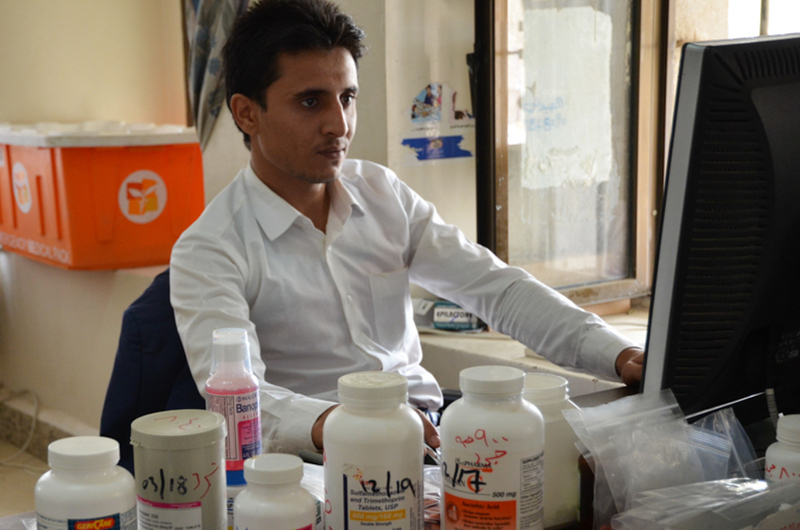 Direct Relief is working with two organizations in Yemen: Yemen Aid and Save the Children. Hovey said he himself has not ventured into Yemen, citing safety considerations, nor has anyone from Direct Relief. The humanitarian crises engendered by civil wars, he stressed, are far different than those caused by tsunamis and earthquakes. More than million Yemenis are struggling with cholera, making Yemen’s the largest cholera outbreak in the world. The plight of Yemen has gained significantly more media attention since Washington Post columnist and longtime Saudi commentator Jamal Khashoggi was dismembered at the direction of Saudi Crown Prince Mohammed bin Salman. Bin Salman has also led the charge against insurgents in Yemen, contending they are agents of Iran and ISIS. Bin Salman’s growing international disfavor has generated more criticism of the United States’ support — directly and indirectly — to the Saudi military campaign.